Managing users allows you to remove bad members or invite new members. To find an existing group you have created, you first need to sign-in. 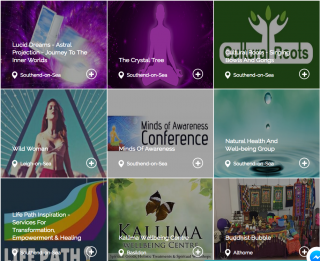 Then you can visit the Dashboard to view your list of groups. Once signed-in, press the “Dashboard” button on the main menu. This will then display a list of groups you have created. From this screen you can also create new groups as well. You can manage the list of group members by pressing the “Manage Users” button. This is made up of two tabs: Existing Members and Invite Followers. By default you can have five free members in your group. You can remove members yourself. If you have more than five member requests, then if somebody leaves the next person will automatically join. You can upgrade your group using the “Upgrade” button to allow unlimited members to join. You can use the Invite Followers tab to invite any users who are currently following your profile into your group. If you wish to invite people via email or social media then use the “Invite via email or social media” button. 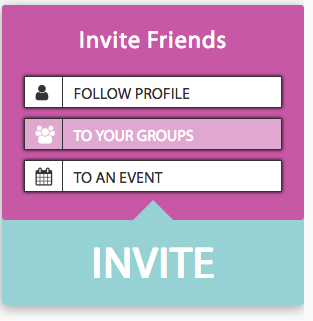 You can invite friends into your profile, events or groups by using the “Invite” button on the main backend dashboard.